This article is an excerpt from our white paper, The Sustainable CMO: How sustainability is transforming the role of the CMO, written in collaboration with RF| BINDER and Possible. Click here to download the full white paper. Corporations are now being recognized as some of the most powerful and influential societal forces. In turn, we see the role of Chief Marketing Officer (CMO) radically changing. CMO’s are now responsible for guiding company culture, influencing talent recruitment, creating new ways of collaborating, and making technology purchases that might have once been exclusively the responsibility of the IT department. Outwardly, we see leading CMOs speaking out on broader societal issues and challenges like climate change, ocean plastics, diversity and inclusion, and gender equity. As sustainability and transparency become the new standards for consumers, marketing leadership will have to quickly follow suit. In a world where citizens and consumers have more access than ever to information about companies, CMOs are working even harder to understand the risks faced by their brands. As guardians of the brand, CMOs are working more closely with their sustainability peers as they collaborate to mitigate risks. In terms of financial exposure due to supply chain errors, Chipotle is perhaps one of the better-known case studies, both for the extent of damage an error can create and for a brand’s ability to mount a comeback. In 2015, E-coli affected 60 Chipotle customers, and the resulting PR scandal wiped two-thirds off the company share price and led to calls for a new CEO, with the then current CEO stepping down. Then in 2018, under the new CEO and with share prices up 78% for the year, 700 people fell ill after eating at Chipotle, resulting in yet another significant drop in share price. This time, the company was able to recover and regain the same level post-crisis. This fast turnaround was dependent on a multi-pronged marketing approach that involved dealing with the crisis on one front and then pushing heavy customer promotions on another, the solution, therefore impacting both the marketing spend and the product profit margin. So, recovering the share price was not without cost to Chipotle. Apple faced a PR scandal in 2013 when forced child labor was found in the supply chain, and the same crisis hit Sony, Samsung, and Marks & Spencer in 2016. 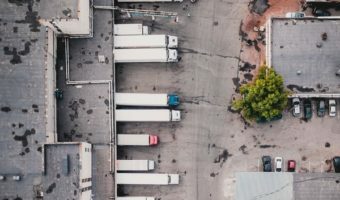 Companies, it seems, are only one surprise away from a potential PR crisis, as supply chains get ever more complex, requiring better tracking systems to include multiple checkpoints with hundreds, sometimes thousands, of vendors and business partners. breaking and seeing a new crisis unfold. Increasingly, investors see focus on sustainability as a benefit and the lack thereof as a risk. Shareholder value is now inextricably tied to a company’s approach to sustainable business. The increase in attention on Environmental, Social and Governance (ESG) strategies and investments reflects a similar ambition towards connecting sustainability with profit. Sustainable, responsible, and impact investing (SRI) assets have expanded to $12.0 trillion in the United States, up 38% from $8.7 trillion in 2016. Much of this growth is driven by asset managers, who now consider environmental, social or corporate governance (ESG) criteria across $11.6 trillion in assets, up 44% from $8.1 trillion in 2016. The top three issues for asset managers and their institutional investor clients are climate change/carbon, tobacco and conflict risk. And from 2016 through the first half of 2018, 165 institutional investors and 54 investment managers controlling $1.8 trillion in assets under management (AUM) filed or co-filed shareholder resolutions on ESG issues. As an example of this, we now see Salesforce ensures all ESG efforts are integrated into all decisionmaking processes and business operations, in a transparent way, including enhanced disclosures in 10-K, 10-Q and proxy. This increasing interest in environmental topics from institutional investors creates both a responsibility and an opportunity. Leading companies are seeing this as a chance to create value for stakeholders and minimize negative impacts. As we have already referenced, sustainability is now a key driver for business success and companies that have committed and consistently leveraged it are seeing the dividends in their investments at a macro level. Here, we cover three of the more specific and very simple ways companies can be successful in harnessing sustainability to drive sales. Consumers are increasingly making connections between the products they purchase and the benefits to the environment, which is helping to drive sales. Broadly identified as “healthy for me, healthy for the world” in a recent Nielsen survey, these products in categories such as food and personal care, command higher prices. Paraben-free cosmetics, for example, have increased in purchase by almost 7% over products containing paraben since 2015. We see the same trend in energy saving and energy efficient products, as demonstrated by the “good for my wallet, good for the world” consumer thought process. A commitment to sustainability can enable new sales through building a presence in emerging markets or attract new customers interested in a more sustainable product. In 2017, HP calculated at least $700 million in revenue that was linked to the company’s sustainability strategy, as a result of embracing circular economy principles for products, among other initiatives. The company also saw a 38% year-over-year increase in sales bids from customers with sustainability requirements. While many companies will tout savings, very few corporate leaders are able to demonstrate an increase in revenue as a direct result of straightforward CSR initiatives. Caesars Entertainment, however, took a unique approach to its CSR measurement model with a variety of research initiatives that linked guest loyalty and spend with awareness. Caesars posed a basic question: if guests knew about Caesars’ investment in CSR, would they spend more money? Across multiple studies spanning 2011-2018, Caesars saw jumps in brand affinity and loyalty, as well as increased sales and revenue numbers as a result of simply communicating their CSR initiatives to consumers. Demonstrating the good you are doing can engender more interest, loyalty and sales for the businesses that share their story. Commitments to sustainability and responsible supply chains are creating an unprecedented amount of product innovation. Traditionally, the CMO role would be to support new products with ‘back end’ marketing such as branding, communications and to some extent, pricing. 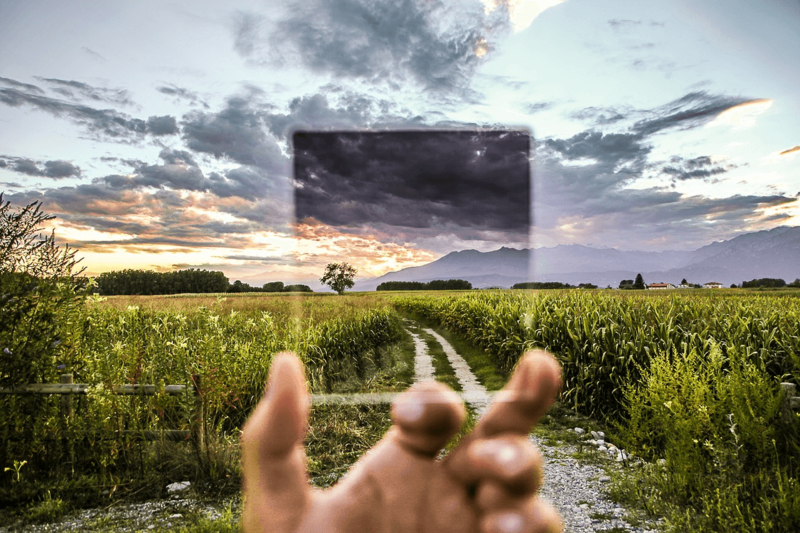 Now, though we see CMOs involved earlier on in the process and contributing to product development, the sustainable CMO uses knowledge and insight to feed into the innovation pipeline. In June 2018, Nike created a new material from recyclable natural leather fiber called Fly leather, which is claimed to be the lowest carbon-footprint leather material ever made. The material is being used in the manufacturing of well-known Nike products such as the Air Jordan and Air Max sneakers. P&G formulated the first enzymatic detergent that works in cold water, eliminating the need for consumers to heat their water, thus reducing energy use. Tesla with focus on design and quality grew the global market for electric vehicles exponentially, making an otherwise “dorky” choice aspirational. Companies that recognize the inherent benefits of innovating because of, not despite, sustainability commitments are outperforming those that don’t.